Turkish President Recep Tayyip Erdogan is visiting Washington later this week for a nuclear security summit with Vice President Joe Biden. President Obama is not expected to hold an official meeting with the Turkish leader, but there are plans for an informal talk. 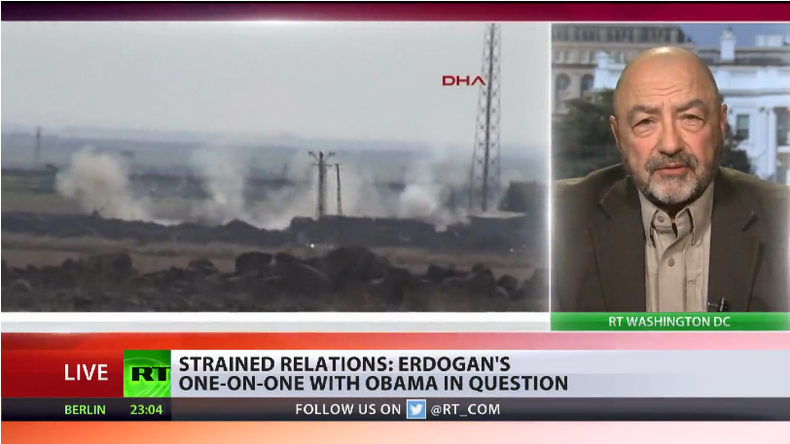 RT discussed the significance of Erdogan's visit with Faruk Logoglu, former Turkish ambassador to the US, as well as political analyst Michael . RT: A formal meeting will take place between Erdogan and Vice President Joe Biden and not Obama himself. Will Ankara see this as an insult? 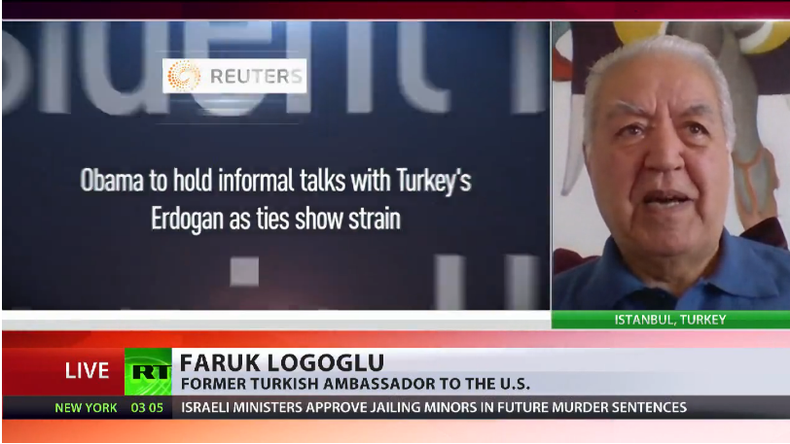 Faruk Logoglu, former Turkish ambassador to the US: No, I would not regard that as an insult. Because there is going to be an informal meeting between President Erdogan and President Obama. RT: Amid a variety of issues dividing the US and Turkey is there one thing in particular that's caused this shift in relations? FL: I would say that it is the question of Syria, a number of differences connected to the Syrian conflict. But then there are other issues, like domestic developments in Turkey and particularly concerning freedom of expression; the presence of the Fethullah Gulen community, the leader who is residing in the US and whose activities and whose presence are strenuously objected to by the government of Turkey. There is also the question of fighting against Islamic State. So, a lot of issues are now a source of tension between Turkey and the US. RT: Do you see these relations mending anytime soon? FL: At the end of the day, these are two countries – one is a superpower, another is a regional power – members of NATO. Yes, there are differences, but there are also common interests and goals. So, they have to talk to each other and I don’t really see the distinction between an informal meeting and a formal meeting. 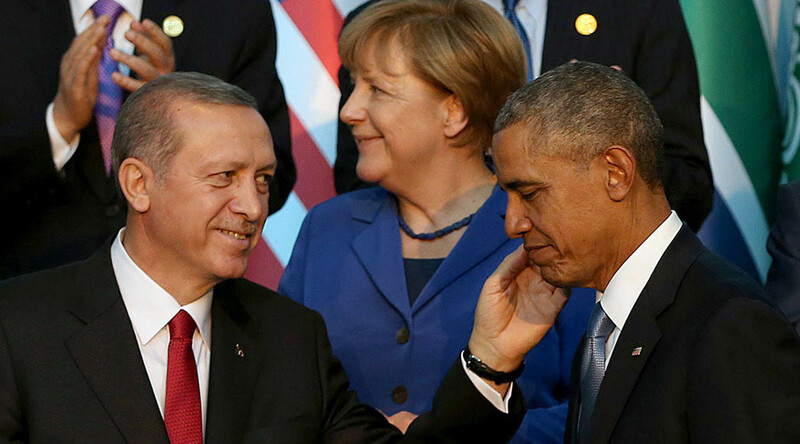 President Obama is hosting a multilateral summit so he can meet everyone so he is going to talk to Erdogan. RT: What do you make of the timing of Washington's decision to pull out military families from Southern Turkey? Michael Maloof: There is no such thing as coincidence; this is all but incidental more than coincidental. The reason for it is that things are heating up, particularly with the Kurds. Erdogan is bombing the Kurds like crazy and the US is less than happy with that, and as a consequence I think it is politically a show of not being very pleased with Erdogan and the way he is treating Kurds, the journalists and in general human rights in that area. Secondly, Erdogan is really opposed to the US supporting the Syrian Kurds. The Incirlik air base, for example, which is going be cleared out of the almost 700 civilians, is being used in fact to supply the Syrian Kurds. And Erdogan is very upset with that. Also, both Erdogan and Obama are on opposite ends when it comes to the preservation of the Syrian regime: the US wants to go after ISIS; Erdogan wants to use all forces and military to topple the Assad regime. So, there is a variety of reasons why there is a problem with them. Right now, the problem of security is also accentuated a little bit, not only because of ISIS, but because of the continuing bombing of the Kurds. Also, the children on the Incirlik air base of US personnel they haven’t been able to go to school in weeks and they are on lockdown because of the security environment. So, I think they have probably decided to pull them out for now, saying that it was just coincidental. But there are a variety of reasons to send a message to Erdogan when he comes to the US. RT: Apparently, there will be no official meeting with Obama for Erdogan. How serious is such a snub? MM: It is a snub, but it is not a total “I am not going to meet with you whatsoever.” He’s at least letting the Vice President [Joe Biden] meet. And… there could be an informal meeting. I think the US is trying to send a message that they are not very pleased with Erdogan’s treatment, particularly of the Kurds and the potential insurrection that could occur within Turkey’s southern region as a consequence.